Our Ash Bench in Black Rush is a study in contrasts. 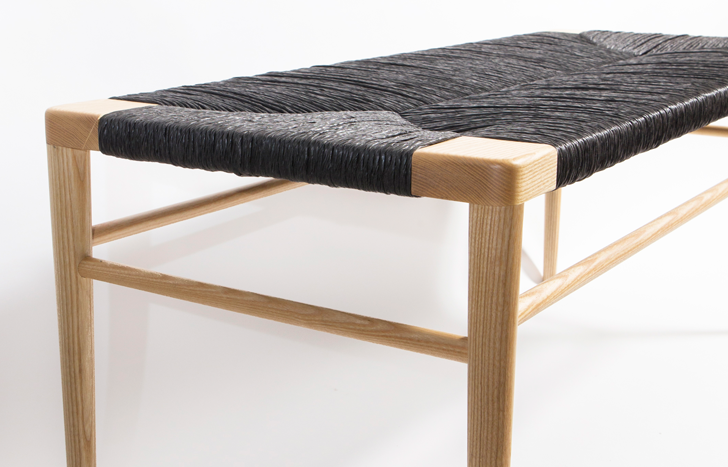 The dramatic black rush against the beautiful light grain of the ash wood is a contemporary twist on our classic bench. Please note, our entire Rush Collection is now available in Black or Natural Rush and as always in a variety of finishes and types of wood. Please inquire for a quote.